As we roll into December, and Thanksgiving has been and gone, there is no escaping the fact that winter is pretty much here. While some pet owners can embrace the most festive season of the year with very little change in their climate and environment, others will find that their weather becomes colder and much more unpredictable. While wrapping ourselves up tightly against the elements, we mustn’t forget that our furry friends may also need some additional accessories if they are to stay warm and cozy during the winter months. Here is our guide to some of the pet accessories that you may want to consider to keep your furriest family member comfortable this winter. Booties aren’t just for human feet you know! If you have a canine best friend, then protecting her paws from the frosty or snowy ground when out on your daily walk should be a serious priority. Waterproof booties provide some protection from the cold, but more importantly, from the salt and other products used to treat frozen ground that could make your pooch very sick if she chooses to lick her paws clean at the end of her walk. Booties can also be useful if you have a cat that doesn’t mind venturing outdoors in the winter. For many people, winter means longer, darker evenings and nights. Many people who choose to go out regularly at night cycling or walking choose to wear hi-viz clothing to make sure that they can be seen by other people. However, did you know the same courtesy can also be extended to your pets? There is now a wider range of fluorescent, high visibility accessories for your pet than ever before, including dog jackets and reflective collars. You can also buy safety lights that clip to your dog's collar, allowing you to spot him even in the darkest of nights. While you may usually be quite happy to let your dog off the lead when you go for walks, the winter can pose some unusual hazards that your canine companion may not be prepared for. One of the main things to watch out for is frozen lakes or rivers. If your dog isn’t used to these, he could inadvertently venture out onto thin ice that may break under his weight. A flexi-lead gives your pet the opportunity to roam while still letting you keep control and keep him safe. There may be occasions where getting your pet outside to do his business is difficult or simply impossible. Thankfully, there are various types of puppy litter now available for those times when your pet needs to pee or poop indoors. Puppy litter works in exactly the same way as kitty litter and is often relied on by owners who have dogs who are too ill or too frail to make it outside. Clothing can be a lot more than a fashion accessory for your pet, particularly if you have a short-haired cat or dog. 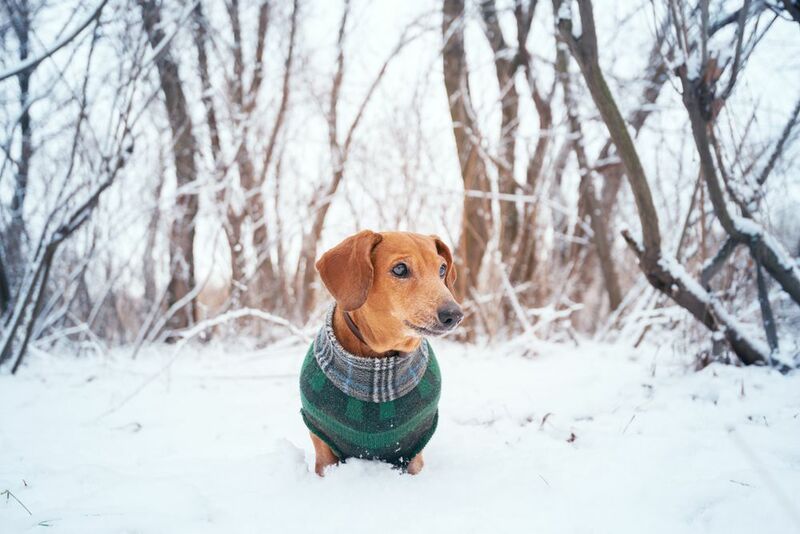 Sweaters and coats add an extra layer of insulation which will help keep your animal toasty, even in the coldest weathers. If you are looking at getting your pet a coat, be sure to choose a waterproof variety with a fleece-lined interior for the best benefits. If your pet is going to be spending any time outside, he will still need access to fresh water. Winter time means that any water left out can quickly turn to ice, right? Not anymore, thanks to the invention of the heated water bowl, which keeps your pet’s water ice-free even in temperatures as low as -20 degrees Fahrenheit. If you need further advice on what accessories are available to help your pet remain warm and comfortable during the winter time, contact and speak to our veterinarian.